Dr Sawaqued has always been very professional & treats a person like they are the only ones in the office. He was pretty good. One of his assistants was way to excited to poke at my teeth. I had to geta filling and I started crying because I'm terrified of the dentist. He sent in his receptionist to calm me down and he was nice enough about it. A little awkward. Id recommend him and this office though. Not a bad experience. He was pretty good. One of his assistants was way to excited to poke at my teeth. I had to get a filling and I started crying because I'm terrified ofthe dentist. He sent in his receptionist to calm me down and he was nice enough about it. A little awkward. Id recommend him and this office though. Not a bad experience. 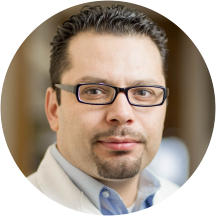 Dr. Tariq Sawaqed is a graduate of the University of Colorado, School of Dental Medicine, where he received training in all aspects of general dentistry. Through a combination of state of the art technology, sensible treatment plans and genuine devotion to the unique needs of each patient, Dr. Sawaqed preserves healthy teeth and gums, alleviates oral discomfort and improves the appearance of smiles on a daily basis. He is innovative and inquisitive, yet very conservative when it comes to treating patients. His goal is to provide the most appropriate care with evidence-based dentistry. He is always available to follow up with the dental care he provides so that no patient will be left alone after receiving treatments. Dr. Sawaqed is dedicated to lifelong learning through continuing education courses. Dr. Sawaqed had attended the last 5 meetings of the Rocky Mountain Dental Convention, he had taken postgraduate education courses in a wide range of topics including orthodontics, endodontics, and cosmetic dentistry, and implant dentistry He is a member of the American Dental Association, Colorado Dental Association, Metro Denver Dental Society " When he isn’t learning about new treatment options for restoring and preventing worn teeth, he enjoys spending his spare time with his Wife Yara and their son Andrew. Dr Tariq is always a great experiance. It went really well, the staff was friendly and the dentist was understanding when it came to my past experiences with other dental offices and explained each step of the procedure that I would be receiving beforehand which made me feel more at ease and comfortable. As always, he is kind, patient and listens to the patient's concerns and fears. He was very kind and dealt with my situation amazingly. Great dentist. Every time I go to Dr. Sawaqed, I feel that I am provided with a thorough checkup and am kept in the loop about what's happening. I'd definitely recommend him. Wonderful! Cannot wait to come back in 6 months!!!! Doctor Tariq is not only a great dentist, but a great person. I highly recommend him and his practice. Robin, helped me greatly with the financials. This practice always exceeds my expectations. Dr. Salazar and staff was so concerned about my well being. He was patient , courteous and understanding of my fear. He explained every step and kept asking me if I was alright. He is the best dentists I have ever been to. I filled out all the new patient info online and told the receptionist and I'm not sure if she couldn't or didn't know how to access them but I had to fill out the EXACT same questions on paper in theoffice just so my "signature" would be on their papers. I had to ask the student hygienist to change her gloves before polishing my teeth. She did but I don't think she understood why when it told her she touched 3-4 cabinets behind us looking for something and got down on the floor to plug the portable machine they hook the epitome the up to before trying to proceed to touching my mouth. Dr. Was super nice-I liked him! Prob won't go back though. Dr and DH were good! Dental assistant and office staff are more of a 3 star. Overall, I will use them again. I was a little nervous, then when getting my crown I almost fell asleep in the dentist chair, that's how comfortable and relaxed I was. He's a fantastic dentist and his staff are awesome! Good dental experience! Understanding staff! Dr. Sawaqed offered to and then performed the cleaning himself. Which has NEVER happened to me with my previous dentists. 5/5! Great Doctor would recommend to anyone. I'll be coming back. I am so glad that I found Dr. Sawage. The teeth I had left were really bad. He helped me get financial help so that I could get a bottom denture. I am so happy with my new denture. I justneed to be patient until everything heals. I used to go to Comfort dental, they told me I needed to see an oral surgeon to remove some teeth. Dr Sawage took care of all my needs. Tiffany did a quick filling and I did not even need the shot! I hate the goop that makes me gag for a night guard fitting but she and doc Tarik were very careful and gentle so I did have almostno problem! I was surprised! Doc Tarik was caring of my need and financial situation and helped me go on a payment plan because I need the t m j help. Also Robin was very kind in my insurance and payments. I Haven't seen a dentist since I left the Army over a year ago. I am beyond happy with my visit at Lakewood Dental of Colorado. From the minute I walked through the door till the moment I walked out; myexperience was great and the customer service, PHENOMENAL. Tiffany the dental assistant was sweet and made me feel comfortable. Dr. Sawaqed has very light hands and listens to his patients. Definitely sticking with him and will be referring him to every one. They may not have TV's everywhere and all the glamor, but the doctor was so personable and took great care of me! It was a very pleasant experience! Great staff! Smaller office, but very convenient with appointment times and availability. They seem to really care about you and not just trying to hurry people in and out. Highly recommended! The staff was very friendly. I came into the office a bit early, but was taken back right away. Dr. Tariq was friendly, quick and efficient. I don't really like going to the dentist, but this experience was a painless! Thank you. I am very pleased with this dentist and the entire staff. I live in the mountains and everyone tells me there are very good dentists up here. I tell them I am very satisfied with Tariq Sawaqed and won't switch! I am so grateful for Dr. Tariq and his team! He is a very kind doctor. He is very smart and be cares a great deal for his patients. I have had some very negative dental experiences in the past andI found him genuinely courteous. He kept checking on me throughout my procedure "Are you doing okay? you're doing a great job, do you have any concerns?" We will definitely be back again. All the staff are very kind and I am so delighted that my mouth isn't such better shape! Dr. Sawaqed was phenomenal! I have terrible anxiety and low pain tolerance and he was very understanding and had a lot of patience with me. Repeatedly asked if I was doing okay and adjusted whatever I needed to make me mostcomfortable. The assisting staff were also nice, understanding and great at their work. Definitely a step in the right direction for me after a previous traumatic experience from a different dentist. Thank you! Very nice Dentist and staff. Also prompt with appointment scheduling and seeing you on time. Thank you so much for the wonderful care you've taken with me. I can not say how much I appreciate your help in getting my teeth issues handled. But more it was the constant checking that I was okay and theway you listened that has impressed me. Thank you! Thank you! Thank you!!!! Attentive Doctor and staff. Everything explained in black and white. Very affordable. Dental visits are always traumatic for me and this one went as perfectly as it could go with a minimum of pain (the novacaine shot did hurt a bit). It also went FAST. He is very professional as well as friendly. He always explains things in simple terms, so that you actually understand what is being done. Well for the extractions I had to have done. ..Dr.Sawaqed was very patient and heplful. I felt that Doc Tariq Sawaqed and his staff were easy to communicate with, knowledgable, and amicable. They did not waste time, and the facility was clean and sanitary. It was an unpretentious place and welcoming. It was great. Very gentle and he cares about your comfort. I had an appointment for filling, but they did not block enough time to do the work and asked me to come back another day due to the shot did not work. It is not right?! The front office staff and Dental Assistant are friendly and I like the way they use your name when communicating with you as if they remember you from your last visit. From day one I was given all my options for treatment up front. He let me know of the possibility of needing a root canal before we even started to fix my cavity so no surprises. His bed side manner isunbelievably kind hearted. His main goal seems to always be on the patient. He treats his staff extremely well so they are happy and allows for them to concentrate on the patient rather than drama in the office. I highly recommend him for all your dental needs. This was our first time. The whole staff were great working with my kids! Better then other places I have been. I felt welcomed as soon as I walk in the door until I walked out. Nice and caring. The staff and doctor were wonderful. Great rapport with patient and other staff. The problems were that I was mis-scheduled, twice and for one appointment I wasn't phoned until I was driving into the parking lot. They did try to mendit with a free-teeth whitening, which although generous, was quite ineffective at whitening my teeth. The other concern was a cap I had replaced. It looks BAD. Fortunately it is in the back of my mouth, so it's not too obvious, but it still bothers me. Probably will not return. I really like him & Tiffany. But actually I like the whole staff. I get treated like I'm special, & that makes me happy.